The Comeback originally aired in 2005 and starred Lisa Kudrow as Valerie Cherish, a former TV star who participates in a reality TV show in an effort to bring her name back to the forefront of pop culture. 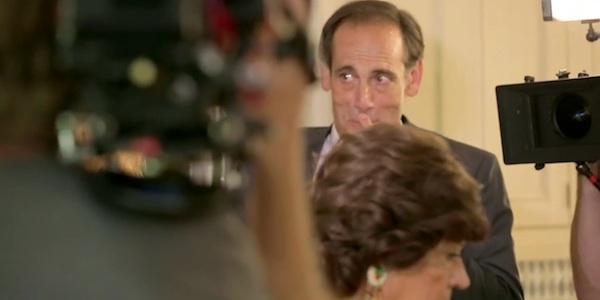 The series only lasted a season, after which it was cancelled. Well, it's coming back this November for an eight-episode limited series. HBO hasn't given up many details about the plot of the series, stating only that "it’s ten years later, and Valerie thinks she has it all figured out this time. She doesn’t." The above "Invitation to the Set" video gives us a lot more to work with. "No, it's not TV. They don't do that anymore, do they?" The Comeback creator Michael Patrick King reveals that The Comeback starts up with Valerie "creating her own camera crew, which is three USC film clowns following her around." And to emphasize this, we see Valerie's friend getting hit in the head with a microphone. Clearly Valerie's not working with Jane's people here, so what's going on? Lisa Kudrow mentions how great it would be if, nine years later, Valerie's trying to be on a reality show again. 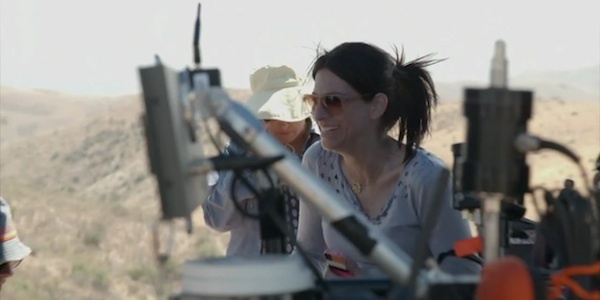 The fact that Valerie has film students following her around causes us to wonder, where's Jane? She's around, we know that much. Laura Silverman was one of a few specific names Lisa Kudrow mentions when saying that they needed to know if those people would be around because "we knew already what the stories are going to be." That may be a hint that these characters are key players in this new series. In the original series, Jane was a producer on Valerie's reality show. She was more frequently referenced than she was seen, as Valerie regularly addressed her whenever she had concerns about what was being filmed for the reality show. While it often seemed like Jane was trying to stay out of things and do her job, there were moments in the first season where it's clear that she's a bit more invested in the subject matter than she wants to be. What could she be up to in the new series? Is she at all involved in the new reality show? If only every great head of hair had a guy like Mickey standing behind it, there to step into frame to tease and touch up when necessary. Mickey's not only Valerie's hair dresser, he's also her friend. In the original series, Mickey was often there to offer support, share some much needed perspective and, of course, make sure Valerie's hair always looks perfect. It's hard to imagine The Comeback without Mickey. We can only assume he'll resume his role as being Valerie's righthand man in the new series, but perhaps there's more to his story? There was a mention of Valerie's "Cherish Your Hair" hair products. Is Mickey involved in that situations somehow? Or -- potential drama alert -- maybe he's not involved and there's some tension between these two over it. Mark is Valerie's husband. When the first series wrapped up, we last saw him watching on as Valerie was surrounded by fans looking to have their vomit bags signed. Are he and Valerie still happily married? Hopefully, but who knows? Either way, it sounds like he's relevant to the plot of the new series, so that's good. 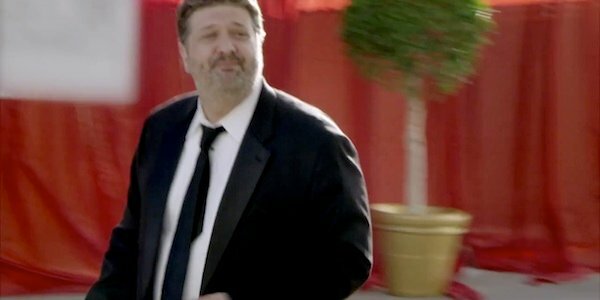 Kudrow's specific mention of Lance Barber is especially exciting, as we're hopeful that it means there's going to be some kind of major followup to the rivalry of Valerie and Paulie G. In the original series, Paulie G. was one of the two main writers of Room & Bored, the new sitcom Valerie's starring in. While Tom (Robert Bagnell) is the nicer and more patient of the writing duo, Paulie G. served as the main antagonist in Valerie's life. He didn't like Valerie, didn't care about her past fame and didn't care about her reality show. The fact that he got along with pretty much everyone except for Valerie made him an excellently frustrating character to watch. Season 1 spoiler alert: He got some comeuppance in the end, courtesy of Valerie's right hook, (because we all needed to see that.) But where is he today? We can't wait to find out. 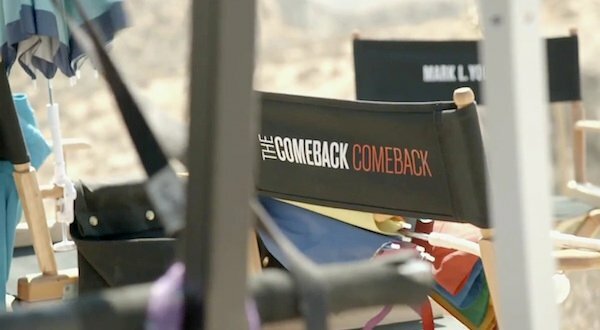 The Comeback returns to HBO on November 9.